FLATIRON DISTRICT, Manhattan (WABC) -- Eleven Madison Park at 11 Madison Avenue in the Flatiron District has been named the world's No. 1 restaurant in the World's 50 Best Restaurants awards. It is the first U.S. establishment to win the top spot since 2004. Osteria Francescana in Modena, Italy, is No. 2, and El Celler de Can Roca in Girona, Spain is No. 3. Other New York restaurants that made the list include, Blue Hill at Stone Barns in Pocantico Hills at No. 11, Le Bernardin at No. 17 and Cosme at No. 40. Eleven Madison Swiss-born executive chef Daniel Humm's signature roasted duck is prepared many ways including with classic honey and lavender, and honey-glazed with turnips and huckleberries. He calls his celery root cooked in a pig's bladder "a career-defining creation." 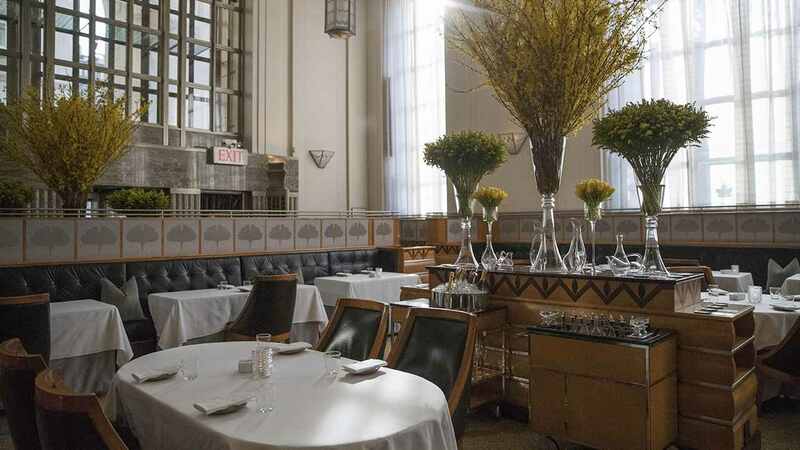 Eleven Madison Park is closing for renovations in June 2017 and will reopen in September with a new kitchen and dining room.